To celebrate its 10th anniversary, ZEE Jaipur Literature Festival will announce 10 speakers every week for 10 weeks everyTuesday at 6.00pm (IST). 2017 marks ten years of the ZEE Jaipur Literature Festival and its meteoric rise from a small gem of an idea to the world’s largest free literary festival, having hosted more than 1300 speakers over the past decade. 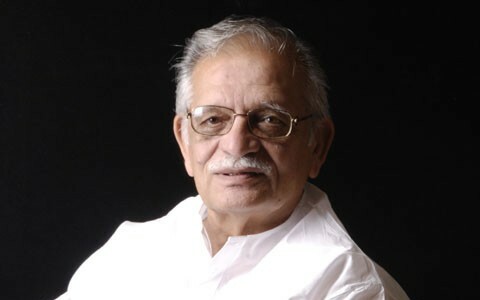 Gulzar is a poet, filmmaker, lyricist and writer. Born in Jhelum, now in Pakistan, he spent his childhood in Delhi and later moved to Bombay, to a celebrated career in films. His creative repertoire includes poems, short stories, scripts, ballets, music albums as well as books for children. His works have been translated into many languages and received national and international acclaim. He is a seven-time recipient of the prestigious National Award as well as 21 Filmfare Awards, the 2002 Sahitya Akademi Award for Best Urdu Writer, the Padma Bhushan in 2004, the 2009 Academy Award for Best Original Song (‘Jai Ho’ in Slumdog Millionaire), the 2012 Indira Gandhi National Integration Award, the 2013 Dada Saheb Phalke Award as well as a degree of Doctor of Letters (Honoris Causa) from the University of Kolkata in 2015. C.P. Deval is an eminent Rajasthani writer. He has written a number of poetry collections and short stories and translated world classics such as Dostoyevsky’s ‘Crime and Punishment’ and Samuel Beckett’s ‘Waiting for Godot’. For his noted contribution in Rajasthani and Hindi, he has been honoured with the Sahitya Akademi Award for his Rajasthani poetry collection, PAGI and the Padma Shri by the Government of India in 2011. Volga (Popuri Lalita Kumari)is a Telugu poet and writer well-known for her feminist perspective and works portraying progressive, modern women, across the fields of novel, poetry, short story, plays and articles. Her first novel, Sahaja, published in 1986, which spoke about how marriage can bind a woman, sparked debate and controversy in many newspapers. She won the prestigious Sahitya Akademi Award in 2015 for her short story compilation ‘Vimukta Kadha Samputi’ in Telugu. Her most recent book ‘The Liberation of Sita’ has recently been translated into English. Musician, poet, novelist and playwrightKate Tempest has recently been nominated for a Costa Poetry Award for her long-form poem Let Them Eat Chaos. Her work includes Wasted, Glasshouse and Hopelessly Devoted; the poetry collectionsEverything Speaks in its Own Way and Hold Your Own; the albums Everybody Down, Balance and Let Them Eat Chaos; and her debut novel, The Bricks that Built the Houses. She was nominated for the Mercury Music Prize for her debut album, Everybody Down, and received the Ted Hughes Award and a Herald Angel Award for Brand New Ancients. Kate was also named a Next Generation Poet in 2014. Audrey Truschkeis Assistant Professor of South Asian History at Rutgers University-Newark. Her first book, Culture of Encounters: Sanskrit at the Mughal Court, was published in 2016. Her second book, Aurangzeb: The Man and The Myth, is forthcoming. This will be her first appearance at ZEE Jaipur Literature Festival. Dr. Suzannah Lipscomb is a historian, author, broadcaster and award-winning academic. Her research focuses on sixteenth century English and French history. She works on Henry VIII and the early Tudor court, and is especially interested in the intersection of religious, gender, political, social, and psychological history. This interest led to her books 1536: The Year that Changed Henry VIII, Henry VIII and the Court: Art, Politics and Performance and A Visitor’s Companion to Tudor England and her latest book, The King is Dead: The Last Will and Testament of Henry VIII. She is currently writing on religion, gender, and sexuality in sixteenth-century France. James McHughteaches at the University of Southern California where he is a scholar of Sanskrit and Indian cultural history. He has written a book on the history of perfume and smell in South Asia titled Sandalwood and Carrion and is now writing a book about alcohol and drinking in Indian history. Jon Wilsonis the author of India Conquered: Britain’s Raj and the Chaos of Empire. He has taught Indian history at King’s College London since 1999. The main theme of his work is the messiness of real politics compared to the myths that political leaders project. He is currently working on a global history of democratic government during the last 50 years. Mark Tullyis a broadcaster, journalist and author living in New Delhi. His books include No Full Stops in India, Amritsar: Mrs Gandhi’s Last Battle, India in Slow Motion, India’s Unending Journey, Non-Stop India and Heart of India, a collection of short stories. He writes and presents the popular BBC Radio 4 programme ‘Something Understood’ and his second book of short stories is to be published soon. After appearing as part of JLF at Boulder, Colorado,Vera Hildebrand will be attending ZEE JLF 2017. She received her MA in Germanic languages and literature from Harvard University and her doctorate in liberal studies from Georgetown University before teaching Scandinavian folklore and mythology at Harvard and at the University of Copenhagen. She has traveled extensively in India, Malaysia, and Singapore to locate and interview women who served during World War II with Subhas Chandra Bose in the Indian National Army in Burma, in alliance with the Japanese as part of the failed attempt to liberate India. Her book Women at War: Subhas Chandra Bose and the Rani of Jhansi Regiment will be published in December 2016. Further information on sessions and more speakers appearing at the 10th ZEE Jaipur Literature Festival will follow over the coming weeks.